The man posted the video of the apparent attack on Facebook. DAVIDSONVILLE, Md. 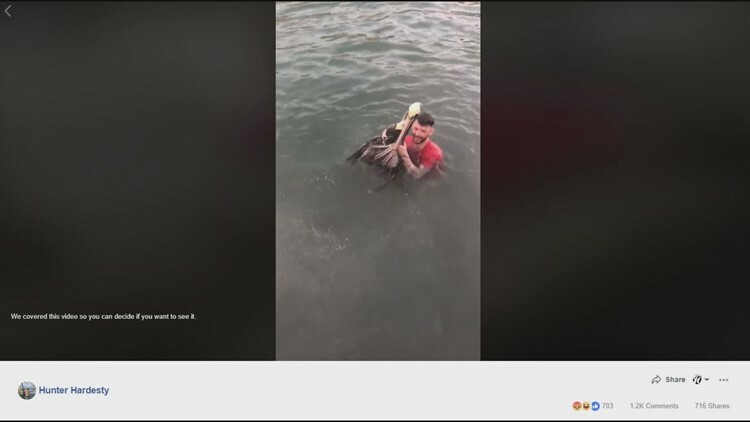 (AP) — The Florida Fish and Wildlife Conservation Commission is working to determine what charges might be appropriate to bring against a Maryland man who was videotaped tackling a federally protected pelican.